Gifts from the Pirates: "Man is a gaming animal. He must always be trying to get the better in something or other." "Man is a gaming animal. He must always be trying to get the better in something or other." When I was younger around Christmas time there would always be at least one Nintendo game I was hoping for. I remember one year really wanting Super star Wars and Mario paint and another year desperate to get my hands on Zool the Ninja Ant. Playing our Nintendo console back then was fun time spent with my family and things haven't changed when it comes to me and the boys. With so many great Nintendo games released this year here's my top 5 that should be in any Nintendo fans Christmas stocking. Although it isn't my favourite game of 2015 (It's my second), Super Mario Maker in my eyes is most definitely the biggest. This game is huge and rightly so. Being able to design your own courses is amazing and although the game is only single player, being able to create levels for your friends and family really makes this a great family game. With thousands of levels to play, created by other gamers all around the world, there is no end to the amount of fun you can have playing this game. Yoshi's Woolly world was the game I was looking forward to playing the most. I love cute games and this one takes cuteness to the extreme. 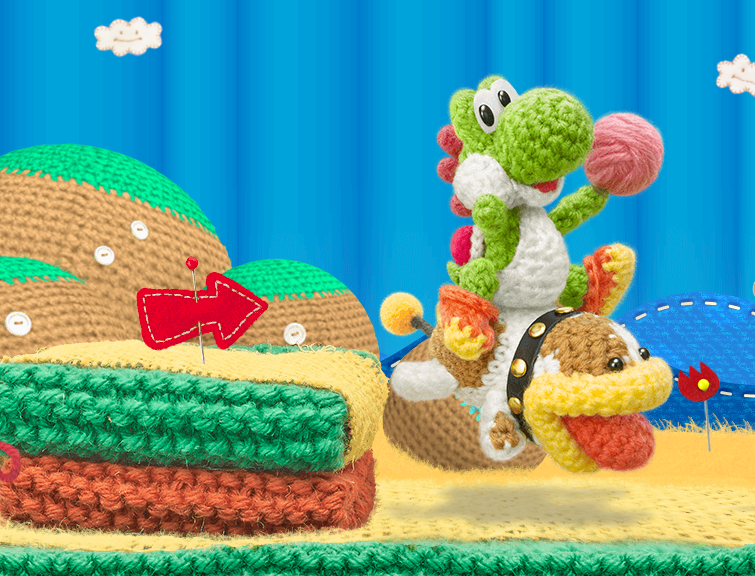 Woolly world is a colourful none threatening game but one that can take quite a lot of skill at times. For me personally, the best game of the year and one me and the boys will be playing a lot over the Christmas break. I am all about the 3ds, as much as I love the Wii U, Handheld gaming fits in better with my days and The Legend of Zelda Tri Force Heroes has been entertaining me while I have been parked up waiting for Mrs M or passing the time waiting for Seth to come out of school. The 3 person multiplayer that can be played from one cartridge is the main attraction for me, with both of the boys having 2ds' but it is also great to take two random gamers from anywhere in the world on missions with me too. I'll be honest, when I first played Splatoon it didn't really appeal to me, but the more I played it with the boys, the more they got in to it and that excitement is contagious. 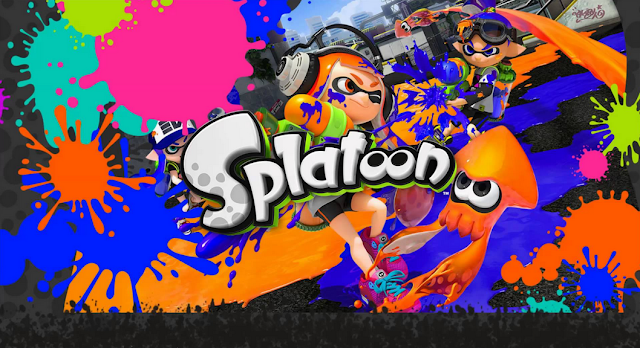 Splatoon is an amazing multiplayer rumble and I could happily sit with the boys for hours playing this as it is a really fun and competitive game. As far as family games go this is definitely one to be on your Christmas list or a great way to spend that festive cash you get from a distant relative. I cheated a little on number 5 as it wasn't released this year but the game is still huge so Super Smash Brothers has made its way to my top 5. With an enormous selection of Nintendo characters spanning over many years of Nintendo's history this game really packs a punch. Ive not played the Wii U version of the game but I hear it is amazing. 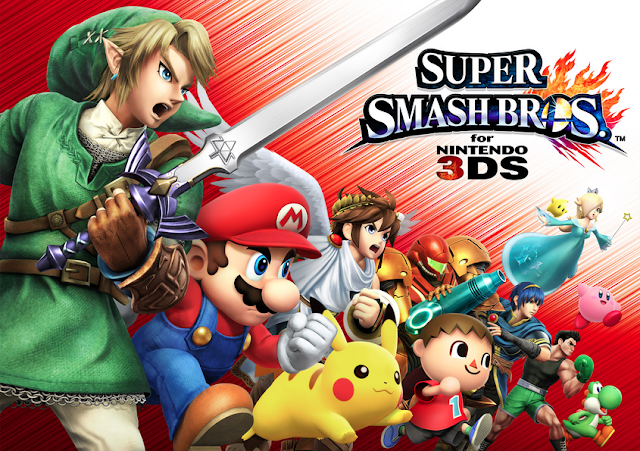 The 3DS game though has been great for me as I can fit a bit of brawling in here of there. I was always a huge fan of the fighting games when i was younger and being able to battle using many of the characters I grew up with is amazing. There have been loads of new titles released this year, these are just my personal top 5. To find out about other titles and future releases head over to Nintendo.co.uk. I hope you all have an amazing game filled Christmas, I'll be using the quiet time to work on completing these 5.